Photo: Calvin A. and Alta Koch Campbell House, ca. 1940, 1210 West Park Drive, Midland, MI. 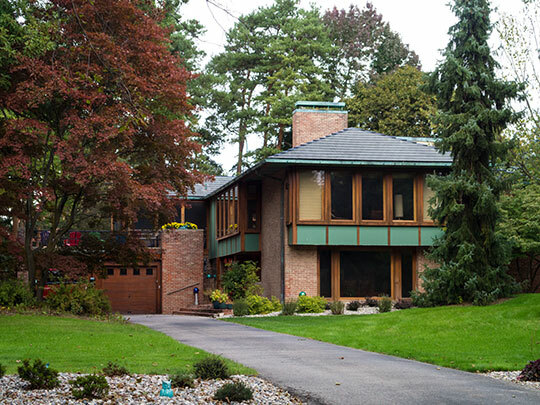 Home designed by architect, Alden B. Dow. Listed on the National Register of Historic Places in 2004. Photographed by user:O. David Redwine (own work), 2012, [cc-by-3.0 (creativecommons.org/licenses/by/3.0)], via Wikimedia Commons, accessed August, 2013. Midland County administrative offices are located at 220 West Ellsworth Street, Midland, MI 48460; phone: 989-832-6797. Midland County was organized in 1850. Midland City, the county seat, was incorporated in 1887.